Get ready to celebrate your big day with these sweet wedding hairstyles for short hair! Wedding hairstyles for short hair are best kept simple with a gentle wave or an accent on texture. Play up your volume, but keep your look neat. Accent your wedding style with hair jewelry, an embellished headband or a sparkly barrette. Be sure to pin these short bridal hairstyles to your wedding mood board today. 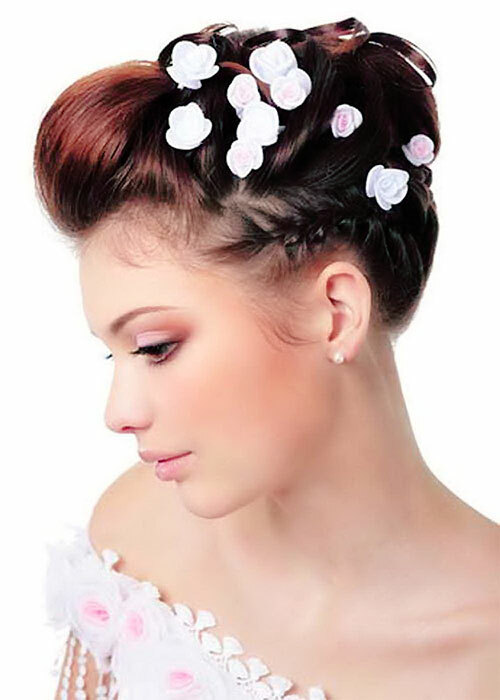 Try a few out and discover your dream wedding hairstyle. Cheers!